Democrats have now flipped 37 state legislative seats since Trump assumed the presidency. Linda Belcher thanks her supporters following her victory in the special election in Kentucky's 49th district, February 20, 2018. Kentucky’s 49th state House district went big for Donald Trump in 2016. While Trump won the state by a 68-32 margin, the Republican presidential nominee gained an even wider 72-23 win in the 49th. The Trump wave was so overwhelming in the western Kentucky district that Democratic State Representative Linda Belcher lost the seat to Dan Johnson, a conservative Republican pastor with an record of posting racist and anti-Islamic messages on social media. Johnson’s victory helped Republicans take charge of the Kentucky House for the first time in almost half a century, and pundits began talk of how the state had “tipped” to a point where a Democratic comeback was hard to imagine. Those who wrote off the Democrats in Kentucky will have to rewrite their assessments following a special election that saw Blecher surge back. Called after Johnson committed suicide, following Kentucky media reports that he had sexually abused a teenage girl at the church, Tuesday’s vote produced a Democratic landslide. 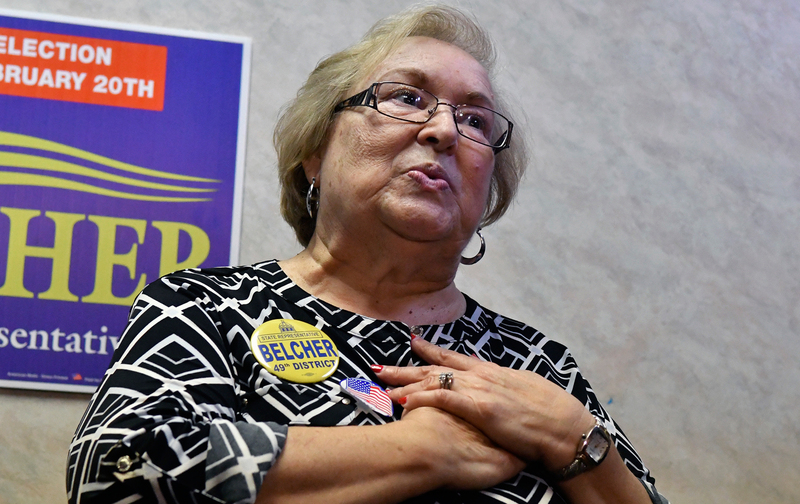 Belcher, a retired teacher who campaigned as someone who has “always fought for pay equity, public education, and organized labor,” won with a 68-32 margin. According to the Democratic Legislative Campaign Committee, this is “the biggest red to blue flip” since Trump assumed the presidency.